​If you have an online business, you’re likely interested in conversion rate optimization tips to improve your sales. If you sell products or services from your website, it makes sense to try and sell as many of these as you can; by optimizing your pages for maximum completed purchases. Sometimes, in the hustle of client acquisition, we, as marketers, forget that conversion is at least as important as acquisition. But, as business owners, we can see almost immediate revenue gains if we focus on increasing purchases from those people already visiting our webpages. ​While the path towards conversion rate optimization will differ for each business- there is a reason why every expert suggests testing their tips with your own traffic, there are 5 conversion rate optimization tips I can share with you today as a starting point for your own website testing. ​The first: Start by running a heatmap and clickmap. Next: Make sure you have enough traffic to run the tests. ​The more variations you want to test at one time, the more traffic you need right from the start. This should be a factor you consider at the beginning so you don’t design tests which you actually can’t run. This doesn’t mean that you can’t test low traffic sites; it just means you have to be more careful about how many variables you test at one time. You can check out this blog post for more on how to test a low traffic site. ​​The third in our conversion rate optimization tips:​ Simplify your checkout forms. A recent study found that checkout forms which had 5 or fewer fields outperformed other forms by almost 20%. This means you want to take a look at your checkout forms and try to reduce the amount of information you’re asking for, especially if you don’t need it. For instance, if you’re delivering a downloadable product, you likely don’t need to ask for a shipping address. If you aren’t using SMS marketing, you probably don’t need to ask for a phone number. ​Similarly, if you can set up your checkout page to autofill details, or enable “shipping address same as billing”- you can reduce the friction in the checkout process. Reduced friction means more sales. Live chat is technology that lets you interact with your website visitors in real time. You can take their questions right away and answer them right way- no submitting contact forms or waiting for someone to call back. This just-in-time responsivity can boost your sales significantly. A colleague of mine estimated that they increased their sales in a recent launch by more than 35%, simply by having someone available to live chat when website visitors requested it. ​This can also be valuable if you’re not running a launch, provided you have a customer support person who can provide this service ongoing. ​When was the last time you asked for a testimonial or review from a satisfied client? When was the last time you got a video testimonial? Most of us don’t do this as regularly and frequently as we should. Yet social proof is one of the best conversion rate optimization tips, because it’s not just you saying how you can help, it’s other people saying how you helped them. It’s proof after the result, which is more powerful than promises before the result. Most business owners could benefit from more social proof, AND from using that social proof in many more channels. If you get a positive testimonial, share it in social media. Put it on your website. Add to your newsletter. Use it in sales letters. Add it to the checkout page. Try to find at least 10 places you can use every piece of positive feedback about your company and your services and products. ​Consumers are looking for assurance that they are making a good decision in working with you. Social proof creates this assurance. ​These are so many other conversion rate optimization tips I could share, but I will save those for a future article. Conversion optimization is one of my most favorite business activities because it, essentially, is found revenue- and helps you get more out of what you’ve got. 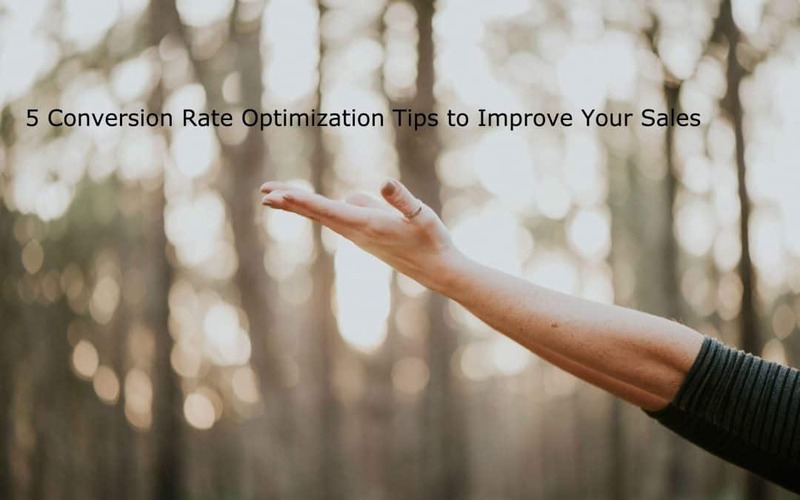 ​If you are looking to begin a program of conversion improvement, you can start with these conversion rate optimization tips and build your testing program out further from there. ​Any of these can create increased revenue in your business, and most are simple to do. Use these tips to get started today. What if you could generate an increase in email subscribers and client inquiries from some simple changes to your website? You could make more money from the website visitors you already have. This is the basis for conversion rate optimization– the idea that small changes can stack together and create better results from your existing online presence.